He also expressed concern over “vitiating” the ongoing Gujarat Assembly polls on the basis of religion and said it was the “saddest development in the Indian polity”. 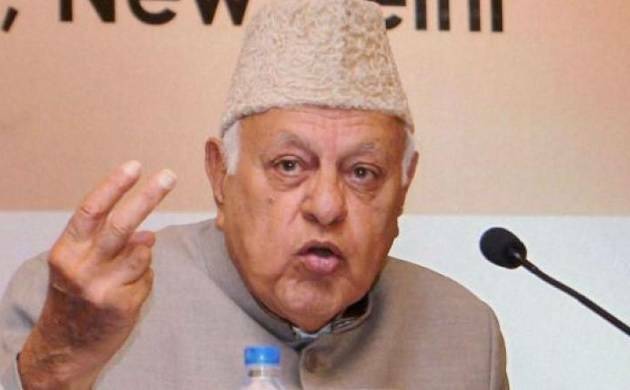 Advising the BJP-RSS to refrain from “generating passions and exploiting public sentiments”, especially during the Gujarat polls, National Conference (NC) Chief Farooq Abdullah on Monday said the growing trend of dividing the nation on religious lines was detrimental to national interest and such a tendency should be eschewed at all costs. In a statement issued here, Abdullah advised the BJP-RSS to refrain from “generating passions and exploiting public sentiments”, especially during elections, and said the growing trend of dividing the nation on religious lines was detrimental to national interest and such a tendency should be eschewed at all costs. He lamented the “attempts to provoke” the people to fight over “mandir-masjid” issues just in furtherance of political objectives. “India does not belong to a specific religion, but it is a beautiful vase of flowers of different colours. People of all the faiths have equal rights in a secular India,” the former Union minister said. He added that in the prevailing “vicious atmosphere”, the NC had a challenging role in keeping the flag of secularism aloft. Abdullah decried the “exploitation” of religious sentiments for political and electoral gains, saying Prime Minister Narendra Modi should take a lead in ending this malady in the larger interest of retaining the secular fabric of the country. “(Narendra) Modi is the prime minister of all, irrespective of religious or regional affiliations and this fact should neither be ignored nor undermined,” he said, hoping that Modi would not allow himself to get swayed by petty politics. Addressing the NC’s other backward class cell functionaries at the Sher-e-Kashmir Bhavan here, the former Jammu and Kashmir chief minister hoped that the prime minister would appreciate the danger communal polarisation posed and said the country should also introspect over the sordid state of its political affairs. “The country of Mahatma Gandhi cannot afford to get fragmented into bits and pieces on the basis of religion to satiate the agendas of a few political outfits,” he said. The NC leader, however, mentioned that nothing better could be expected from the reactionary forces, who were now taking pride in “decorating the killer of the Father of the Nation”. Meanwhile, a retired police officer today joined the NC in the presence of Abdullah at the party headquarters. Abdullah welcomed retired superintendent of police Rishi Dogra into the party-fold and said the NC was a natural choice for all those who wanted to serve the people of Jammu and Kashmir and work towards strengthening the peace and tranquillity of the state.